Located in the timeless valley of Pelham, Tenn., at the base of Monteagle Mountain, The Caverns is the world’s newest (and oldest) underground performance halls. 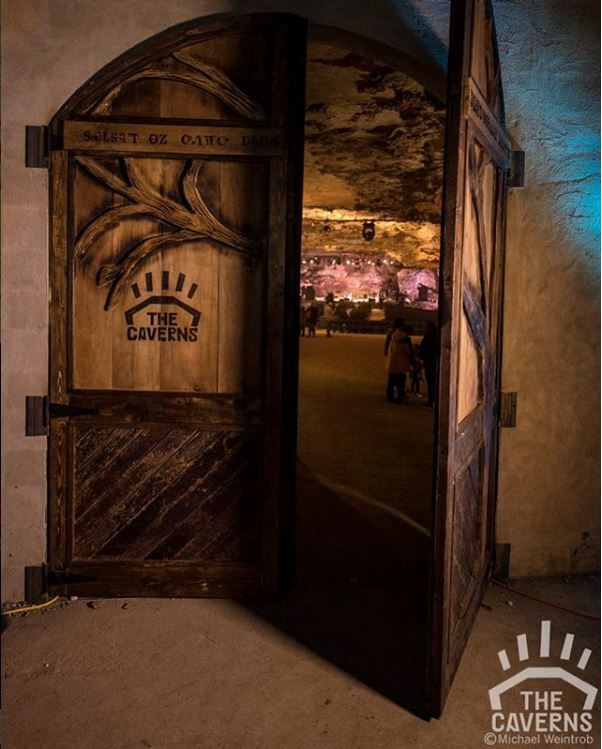 The Caverns features singular acoustics in a sublime and surreal setting. 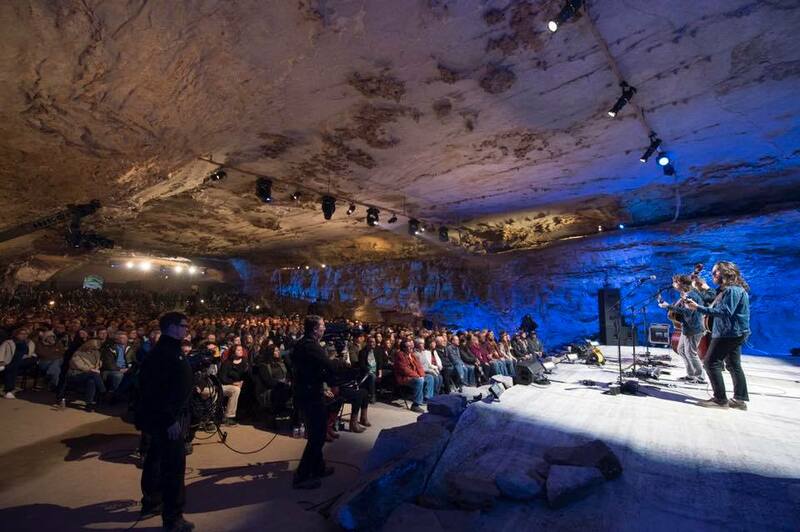 Located just 10 minutes off I-24 in Pelham, The Caverns is the new permanent home of the celebrated PBS series Bluegrass Underground. The venue is also expanding to include a broader range of artists. Visit the website for the complete schedule. The Caverns has a capacity of 750 (up to 1,000 for standing-room-only shows), yet the room feels intimate, with the stage immediately visible after entering the cave. Thanks to its flat, cement floor, the space is accessible for music fans with mobility or physical disabilities. The venue is located within the heart of the South Cumberland Plateau and is surrounding by hiking trails, waterfalls and scenic views as part of South Cumberland State Park. Surrounding communities – such as Monteagle and Tracy City – offer delicious local food offerings and shopping in quaint, historic settings. The Caverns opened its new location in March 2018. “Visitors from within Tennessee, the rest of the United States and all over the world, will be drawn to The Caverns to experience two of Tennessee’s greatest resources: its incredible music culture and its natural beauty. They will leave touched by both,” said Commissioner Kevin Triplett, Tennessee Department of Tourist Development. For more information, visit TheCaverns.com.